O eterno dilema: a galinha ou o ovo. Neste caso o ovo cor-de-rosa recheado com frituras de chocolate é de Pier-Marie Le Moigne, do Park Hyatt de Paris, e a galinha multifacetada, uma fabulosa criação de Daniel Mercier para a Grande Épicerie de Paris. A escolha é difícil. No espírito pascal, fiquei fascinada com este bolo do Francisco Gomes. Só falta o coelhinho, que talvez esteja para chegar, visto este ser apenas o primeiro ensaio segundo ele diz na sua página do FB. Sexta-feira santa,e está quase a terminar o meu jejum quaresmal de doces, e eu já começo a pensar nos doces da época. Recordo-me da paixão que tinha pelas lindíssimas drageias, tão bonitas que não as conseguíamos comer de repente, além de que apenas podíamos comer uma de vez em quando, eram coisa de crescido porque tinham recheio de licor. Segurávamos-las na mão, revirando-as até começarem a derreter ligeiramente. 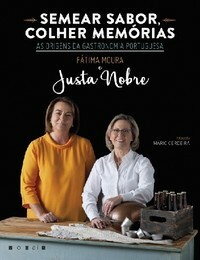 Os bebés eram as que as que mais gostava e mais me custavam a comer, sentia-me culpada, homicida. Deixo-as aqui na versão da Arcádia, a nossa maravilhosa confeitaria. Nunca fui muito de amêndoas confeitadas, e nesta época sempre preferi o chocolate. Não sei quais são as vossas preferências mas aqui fica o eterno dilema: quem veio primeiro, a galinha ou ovo? Estas duas peças são as minhas favoritas, depois de uma ronda pelos confeiteiros parisienses. Este é o folar sem o qual a Páscoa não é Páscoa. Aprendi a fazê-lo desde sempre com esta minha querida avó, mulher transmontana de Macedo de Cavaleiros. É muito simples de fazer, nada receiem. 1) Numa tigela média, esmague o fermento com um garfo e acrescente um pouco de leite morno e o açúcar. Desfaça o fermento no leite. Cubra a tigela com um pano e leve ao forno previamente aquecido a 50ºC, mas desligado. Reserve enquanto leveda (até aumentar muito de volume). Como alternativa, coloque a tigela do fermento dentro de outra com água morna. Este processo leva mais ou menos 1 hora. 2) Quando o fermento tiver levedado, misture-lhe a manteiga derretida e o fio de azeite e bata com uma colher de pau. Junte os ovos previamente batidos e o resto do copinho de leite. Em seguida, incorpore a farinha batendo na máquina com o batedor das massas até a massa ficar elástica. Pode ter de levar mais um pouco de farinha. 3) Ponha a massa a levedar na tigela tapada com um cobertor em sítio quente. Para esta fase conte com mais 1 hora. Quando tiver crescido, deite a massa sobre a bancada da cozinha e amasse-a à mão como se estivesse a lavar roupa. 4) Unte uma forma redonda alta ou um tabuleiro com manteiga ou azeite. Espalhe um terço da massa em camada fina no fundo e cubra com metade das carnes. Espalhe mais um terço da massa, o resto das carnes e novamente a massa. Pincela-se com gema de ovo e vai ao lume a 170ºC. Meta um palito comprido no centro até ao fundo para verificar se já está cozido. O tempo de forno ronda os 45 minutos. To get there it took us almost one hour, through the ugliest São Paulo suburbs, and I kept thinking, it better be worth, it better be worth it, it better be worth it. When we finally stopped at Vila Medeiros, right across the Mocotó, than I started to to think, that Rodrigo de Oliveira better be really good. And I start right through the end of this story: it sure was and worth the ride, even if I had to walk all the way. The pleasure I had with that meal was far from inferior to what I felt in Alex Atala’s DOM. It exceeded my expectations, Rodrigo made me happier than all the other meals I had there. But I better explain why. The typical views on the way to Mocotó. Mocotó tables are full of young people. Rodrigo is very tall, very talented and very kind. When we entered, there was Rodrigo de Oliveira’s father, “seu” Zé Almeida, a man form the Northest region, o Nordeste, and the original owner of the house he opened back in 1973, a boteco where he sold northeast dishes, specially the caldo de mocotó (a broth made with cow trotters), together with the pinga (or cachaça, the distilled sugarcane beverage). In 2004, Rodrigo Oliveira, his son and current chef, took over the restaurant and made some huge changes. So huge that this restaurant is now one of the trendiest in São Paulo, serving a large menu of Brazilian food, mainly using northeast and amazonian produce and ingredients. Saladinha de Pirarucu com Cuscuz : couscous with an amazonian fish. Once you pass the entrance and get inside the first big dining room, 340 cachaça bottles lined up in a huge bar greet you. Mocotó is a huge boteco, like a Portuguese tasca or taberna, and the staff is young, lively and very professional. I was taken to a second dining room, full of light, its Windows open to the buzz of the street. 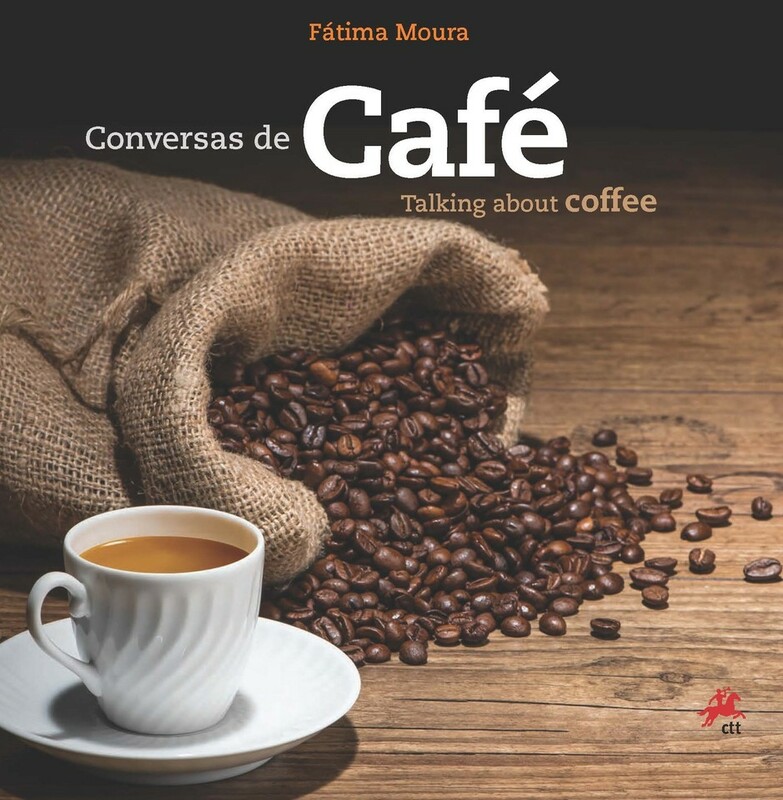 The long and common tables are full of young people, some from the neighbourhood, some outsiders, as Rodrigo puts it, people from different tribes. The petiscos (appetizers) start pouring in. I became nostalgic, wondering that if our tascas could always cook such simple stuff (some of which are even a Portuguese heritage), in such a perfect way, our cuisine would be top of the world. To start with, two types of torresmos (fried pork lard and meat), some with more meat, some with less, but all equally crispy. As soon as they became colder, they would take them in and bring fresh and hot ones. The secret that makes them so crispy is a double frying, the second one just before coming to the table. Impossible to eat just one or two of the little manioc cubes with queijo coalho (a special cheese that doesn’t melt easily). Through all the meal we drank several beers and cachaças, all harmonized with the dishes. To star, some caipirinhas made of different Brazilian fruits like the jabuticaba, a berry typical of São Paulo region. Cachaça Rapariga and beer Coruja, two of the cachaças and beers of the meal. Jabuticaba, the berry fruit used in one of the caipirinhas. Next came the famous Caldinho de Mocotó (cow trotters broth), seconded by Bolinho de Mandioquinha com Linguiça, a fried ball of manioc purée containing an inetrior of chouriço. Each day there is a different bolinho, always fried on the moment. I had imagined a haeavy and gelatinous soup, instead came a flavourful and clear broth with a refreshing leek garnish that sure is soul food. The first appetizer, Saladinha de Pirarucu com Cuscuz, is a fish salad made from pirarucu, a big amazonian white fleshed fish and good texture. The flesh was cubed and sealed, than combined with a refreshing cornflour couscous, rich in herbs, namely the electrifying jambu, the tingling herb, and Brazil nuts. Couscous was brought to Brasil from North Africa by the Portuguese, being tham adapted to the regions and the local cereals (in the Northeast of Brazil that cereal is the corn). Sun cured meat in carpaccio. Main dish results of a bull’s eye combination. The star is the Costelinha de Porco (pork cutlet), marvellous in textures after spending 12 hours in the oven, in very low gear, in the company of lots of garlic, much softer than ours in taste, and the typical peppers. This is the type of food that gives you an intense desire, from your mouth and from your heart. Escorting the meat, a whole series of sides: yellow mini beans (in Northeast Brazil, there are over a hundred species of beans), slowly stewed with Legumes Caipiras (local vegetables), farofinha de flocos de milho (cornmeal flour or farofa), a true delight. Last but not least, the Escondidinho de Carne da Panela em Puré de Mandioca, is a sort of toad in the hole with stewed meat hiding in a ball of manioc purée. Comforting. All the menu names come in diminutive versions because the food is motherly and loving, not only for me, whose DNA contains theses tastes but also for my table fellows the Syrians, the Belgians, the German and the English, who eat with the same enthusiasm, the same desire, the same pleasure. For dessert, Caju Confit com Doce de Leite e Castanha Caramelada com Flor de Sal, a harmony of the very sweet cooked milk with the acidity of the whole cashew fruit and saltiness of the salt flower. Amazingly simple. 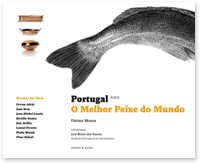 I keep thinking in what we Portuguese could do with our products, our traditions, if we always opted for quality and for this simplicity of the ingredients. The only complexity lies in the science of marrying the products, all artisanal and of the best quality. The cooking methods are Basic, yet practiced with uttermost care. Service is warm, spontaneous but efficient. Chef Rodrigo de Oliveira has a unpretentious approach to people, has the knowledge and a head full of projects. The restaurant’s capacity is now being upgraded to 180 guests. 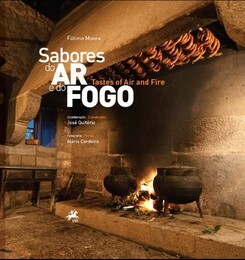 Rodrigo wants to lighten up traditional cuisine and is currently studying traditional products in a laboratory kitchen in the company of Carlos Alberto Dória, the famous Brazilian gastro-sociologist. As for me, one of my projects is to come back to Mocotó for another meal.